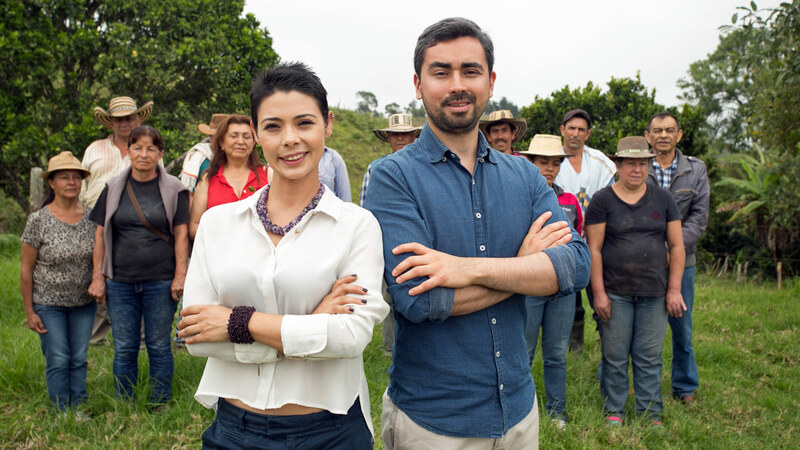 Every year, Chivas Venture disburses USD$1 Million in funding to noteworthy social enterprises from around the world. 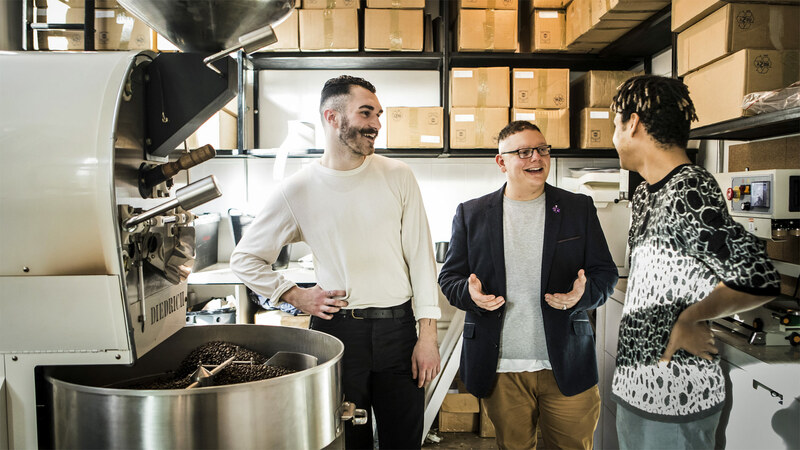 Social entrepreneurs first battle it out nationally. The best from each participating country get to enter the global finals. Here, they compete to win a share of USD$1 Million. You can help your favourite social enterprise win by voting for them on Chivas Venture’s platform. Once the voting is complete, the first $200K of the fund would be distributed based on the number of votes. The finalist with the most votes would receive USD$50K, and the next 4 runners-up would each receive USD$20K. The remaining USD$70K would be split equally among the other finalists. 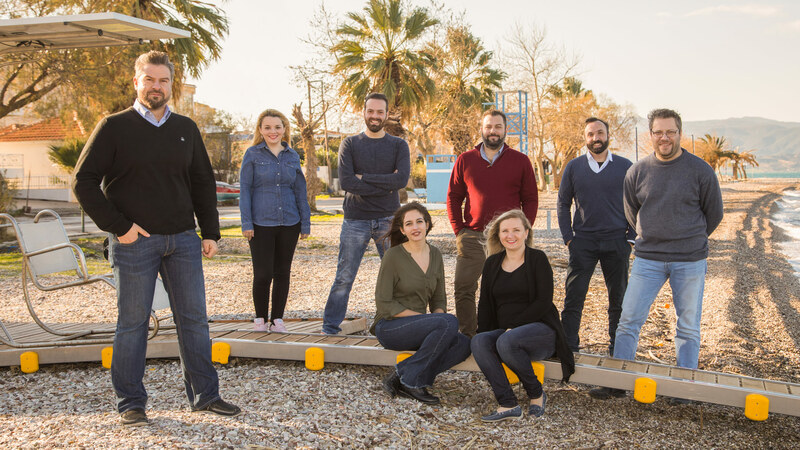 Each finalist would then have a chance to pitch for a share of the remaining USD$800K in front of an expert judging panel at the final pitch in May. As such here are all the noteworthy social enterprises that are tackling major environmental and social issues around the world. You often see a lot of congestion and heavy traffic in densely populated cities. While this is an issue for most of us, Clement Mokoenene sees an opportunity. He developed VEHS – a portable power station that converts traffic pressure on the road into renewable electricity. And here’s the interesting part – VEHS can produce electricity without negatively affecting the environment. It doesn’t use any raw materials, water or greenhouse gases and it creates zero waste! 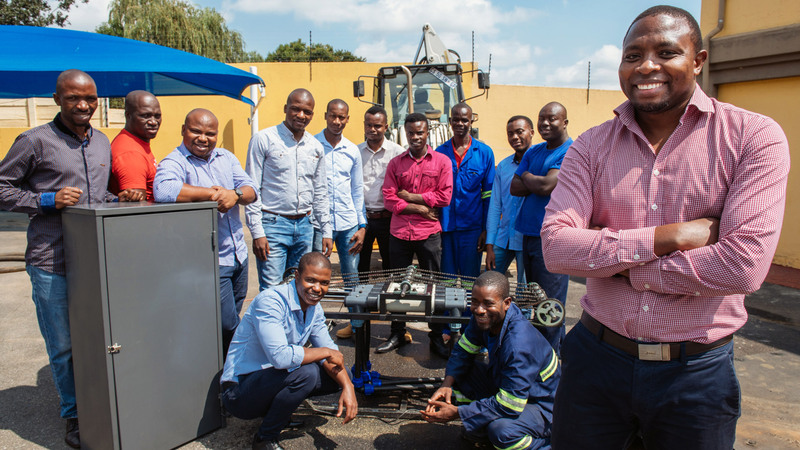 This solution could potentially be used to generate electricity for almost 70% of the Sub-Saharan African population that still lives in the dark. Getting your hands on a pair of glasses is often a time-consuming and relatively expensive ordeal. It’s a bigger issue for people in developing countries as they’re either unable to afford it or they don’t have an optometrist around. In fact, 2.5 billion people around the world live without the glasses they need. 90% of them are in developing countries. 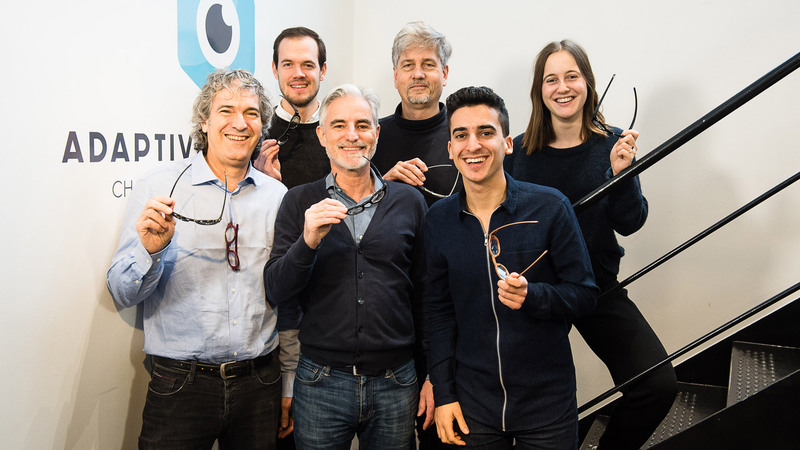 And FocusSpecs – developed by Adaptive EyeWorks – could be the solution they desperately need. FocusSpecs are adjustable focus glasses. They have a dial that you could simply adjust until you’re able to see clearly. You don’t even need a professional to fit them for you. On a bigger scale, FocusSpecs can help improve attendance in schools, work, and even road safety in developing countries. Would you have crickets for lunch? Possibly not. However in the future, we might have to as our population and our demand for protein-rich diets continues to grow exponentially. Arthrofood is taking the leap by turning crickets into flour as a sustainable food source for vulnerable communities in Colombia. In Columbia, an average of 53% suffer from food insecurity and 43% with Anaemia as it’s a post-conflict state. As such Arthrofood works with local communities by sharing their knowledge of making the cricket flour. They also offer jobs while providing an alternative source of food. Fun fact – crickets provide 3.5 times more protein as compared to beef (# GAINS if you like working out). At the same time they generate 85 times less greenhouse gases, and they use 2 thousand litres of less water. We often take our vision for granted but it allows us to participate a wide array of activities. The most important ones being education, entertainment and culture. 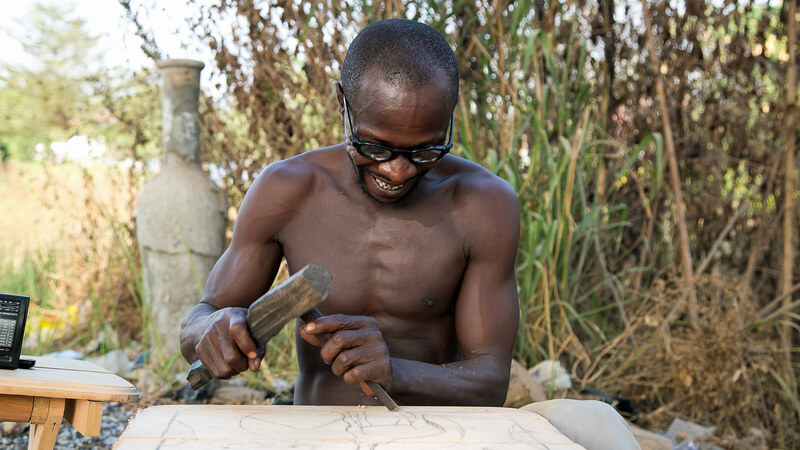 However, more than 80% of blind people are illiterate. 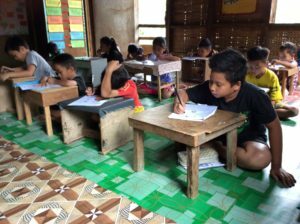 In fact, 8 out of 10 blind children stay out of school due to the lack of adapted materials. The number of books available in braille are quite scarce, expensive and difficult to access. BraiBook makes it easier for the visually impaired to read on the go with their e-Reader. It instantly translates any digital books or documents into braille. It also offers up to 4,000 texts for the cost of just 1 braille book. In the long term, they’re hoping to double the number of Braille users, and to increase the schooling of children with visual impairment. Love coffee? Well a lot of people do. And Change Please believes that this love is strong enough to help the homeless community within the UK. Change Please trains the homeless as baristas and also employs them for a decent London salary. They even go the extra mile to help find them proper housing within the first 10 days. Essentially, they’re a social enterprise that’s staffed by the homeless, to help the homeless. Change Please also ensures that they meet the demands of their customers in a sustainable way. All their cups are recyclable, and they also source their beans from farms that support local communities. If you ever end up in a rural area, you’ll often miss the simple luxuries of being able to flush. 2.6 billion people around the world don’t have access to such a luxury. They have to resort to either dumping or hauling. Both of which are quite dangerous to one’s health. It’s also really costly to remove raw sewage. Studies also show that by not having a toilet in their homes, women and girls place themselves at a risk of being raped or sexually assaulted by 50%. Change: Water Labs is providing low-cost, portable toilets to those that need it the most. The toilets use simple membranes to rapidly evaporate 95% of sewage without using any type of energy. Their solution provides homes with a working toilet without the need for power or plumbing. And by next year, they’re hoping to provide a working toilet to 10,000 families without access to proper sanitation. As a result they’ll play role in improving the health of their children as well as the safety of their moms and daughters. Even with the popularity of tech stacks, tech events and bootcamps in general, there could still be a shortage of 5 million ICT professionals by 2020. Code for All is attempting to meet that demand by teaching unemployed talent how to code. They provide 14-week intensive bootcamps that trains unemployed people as junior software developers. And they even support them until they can find a job that they love. So far they’ve already have pilots in Poland, Italy, Greece and Macau. And they even have a 96% rate of employability. They’ve also seen their younger students improve their math and logic abilities in their bootcamps. Most of our plastic waste is likely to end up in landfills every year. As such Ecoheart creates simple products that respect the environment. They even donate 10% of their sales to non-profit community initiatives. Ecoheart creates simple products like their eco-friendly toothbrush. The toothbrush’s handle is made purely from bamboo, a sustainable and recyclable material. While it sounds really simple, it really is a sustainable alternative to a major source of waste. In fact, in the United States alone, it’s estimated that 850 million toothbrushes are discarded and end up in landfills every year. Ecoheart is working to make people realise that even the small things in life, like a toothbrush, can change the world little by little. Did you know that almost 34 million people don’t have access to safe sources of drinking water in Latin America and the Caribbean? 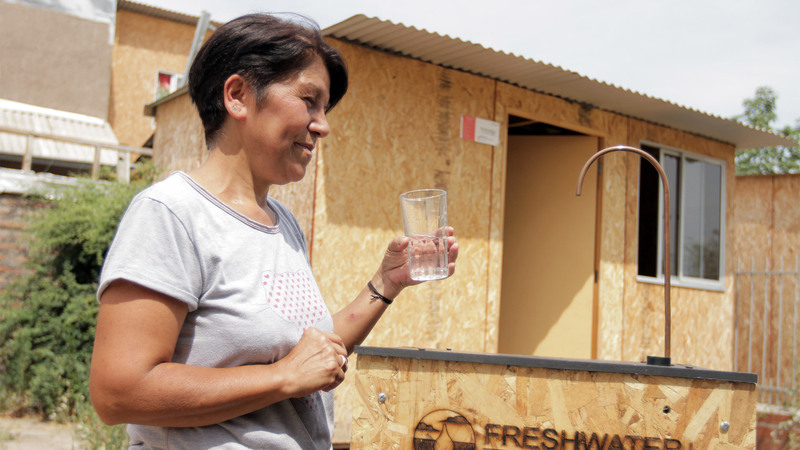 And in Chile, more than 195,000 people are deprived of fresh water supply. Overall, nearly 2 billion people around the world use unsafe drinking water that’s contaminated with faeces. Nearly 500,000 people end up dying every year just from waterborne diseases. Freshwater Solutions developed technology that captures water particles from the air. It then condenses them to create purified and filtered drinking water. Each machine can produce between 9-30 litres of drinking water daily. Thus, providing an affordable and safe drinking option to improvised neighbourhoods that don’t have access to clean water. This would improve their standard of living, and also curb the likelihood of waterborne illnesses and diseases. As a society, we have to address the growing issue of climate change. One way we could do that is by maximising our recycling efforts. Gammakat developed scalable recycling plants that can be installed anywhere in the world. 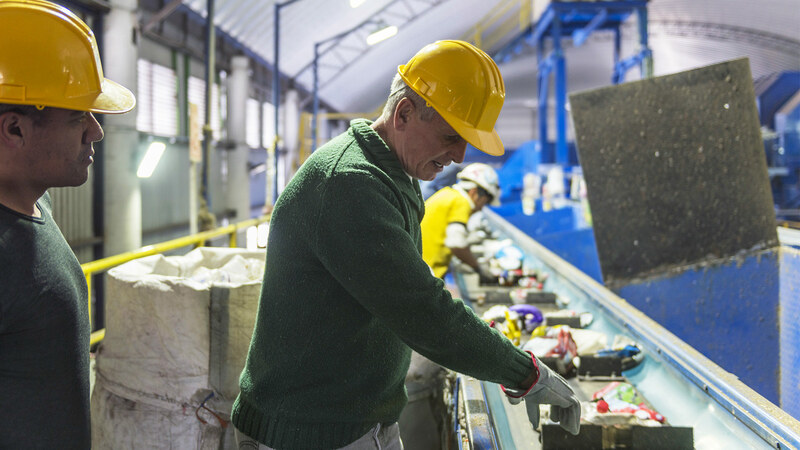 Their recycling plants can turn garbage into clean energies. These plants work self-sufficiently, without the need for electricity or water. The only thing that it needs is trash. Furthermore, this SE also improves the living conditions of poor families that live within landfill sites. They provide them with fairer work opportunities, and re-invest some of their profits into projects that benefit them. In the United States, 50% of blind children tend to drop out of school. 70% of blind people continue to unemployed. A big part of the problem is that only 10% of them are able to read Braille, and less than 1% of the world’s literature is available in Braille. GlovEye developed a special portable glove with a Braille cell under the index finger. It can project any character as Braille straight to your fingertip. It’s connected to the reader app via Bluetooth, and it can be used on smart devices with cameras. It doesn’t just translate written content into Braille but it also has a textbook function that teaches you Braille on the fly. They’re planning on making reading accessible to 34,000 blind people within the first year. Most women and girls living in poverty can’t afford to buy female sanitary products. Often, they have to resort to unhygienic alternatives such as rags, foams or toilet paper. In rural and semi-urban Nigeria, a lot of girls end up missing schools during their period. And as a result of such absenteeism they’re unable to even complete their education. Green Pad offers sustainable sanitary pads made from banana and plantain tree fibres that would’ve otherwise been considered waste. They’re fully biodegradable within 6 months, affordable, and they generate extra income for plantain farmers. GreenPad works towards improving menstrual hygiene and reproductive health by giving these girls an environmentally-safe alternative. So far, they’ve produced 50,000 pieces of sanitary pads, and they’re working to reach more women on a bigger scale. Increasingly, more than 700 million people around the world don’t have access to clean water. Hilico developed a simple and affordable method to collect, filter and store rainwater. 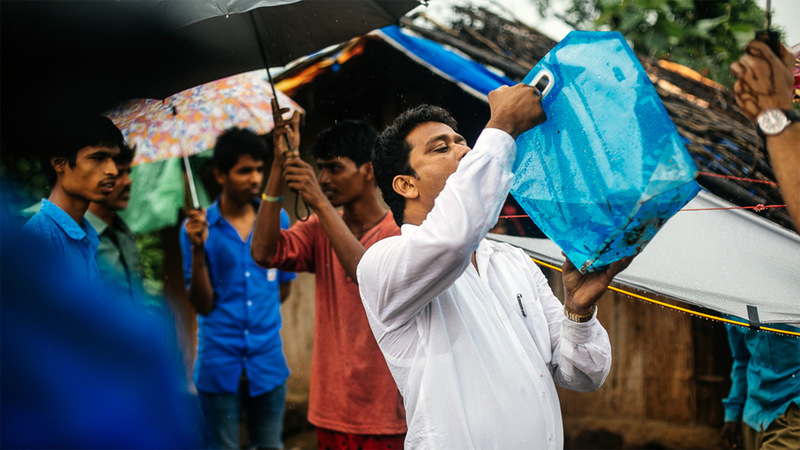 This portable, patent-pending device turns rain water into clean drinking water. 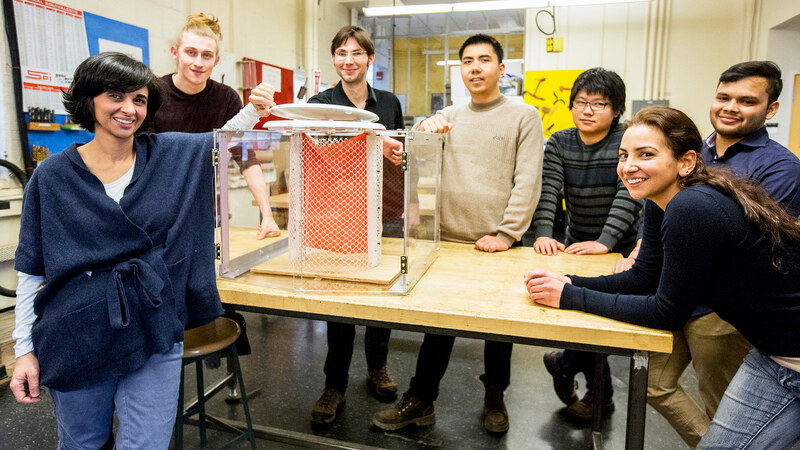 Their device weighs less than 700g, is environmentally friendly and provides an immediate solution to those in need. 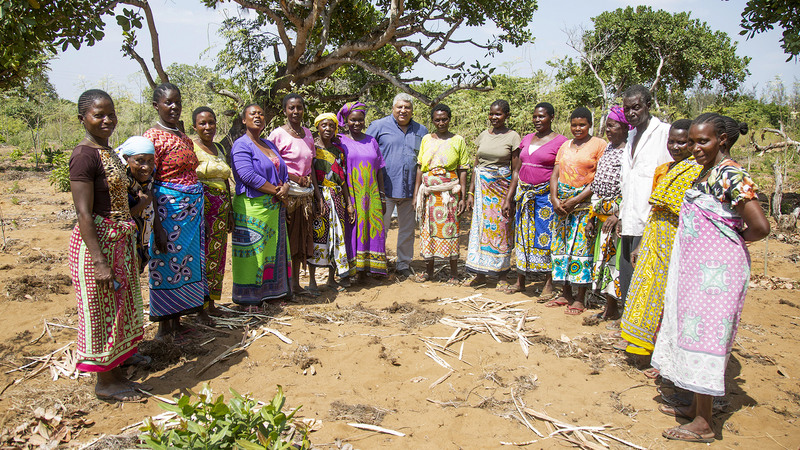 Traditionally, female farmers in rural Kenya harvest the Moringa tree’s leaves to feed their families, and they usually discard the seeds. Kilifi Moringa buys these seeds from these farmers and sells them to the health and beauty industry where they’re used to make a variety of products. As such, this enterprise supports women in Kenya by giving them a chance to earn money while they grow food for their families. 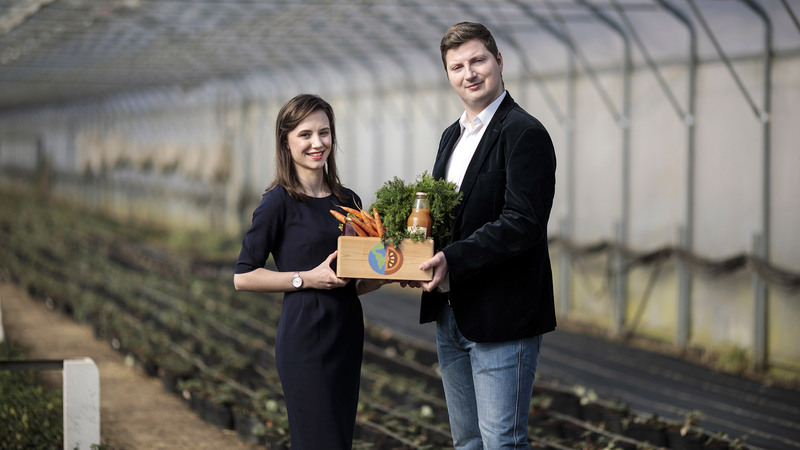 The Leaf Republic makes tableware and packaging from leaves in order to reduce the amount of waste we produce. Specifically, they use leaves from climbing plants. As such they don’t cut a single tree down during their production. Furthermore, all their products are made from 100% renewable materials that are biodegradable within 28 days. They’ve already replaced a million plastic dishes with their eco-friendly products. They’re hoping to prevent over thousand tonnes of plastic waste by 2020. We can all agree that internet connectivity is a very basic need in today’s tech driven world. However, a lot of disabled people, dyslexic or even the elderly have a difficult time browsing the web. Liandi is working to make the internet accessible to over 200 million disabled people in China alone. Their solutions enhance webpages and apps to cater to the needs of such users. So far, they’ve created 37 solutions for poplar webpages and apps in China like WeChat & Alibaba. Internally, they also have an engineering team of physically impaired people that build better suited products. Many of us don’t know anything about sign language. As a result we end up making life very difficult for deaf people especially at work, school or even at home. 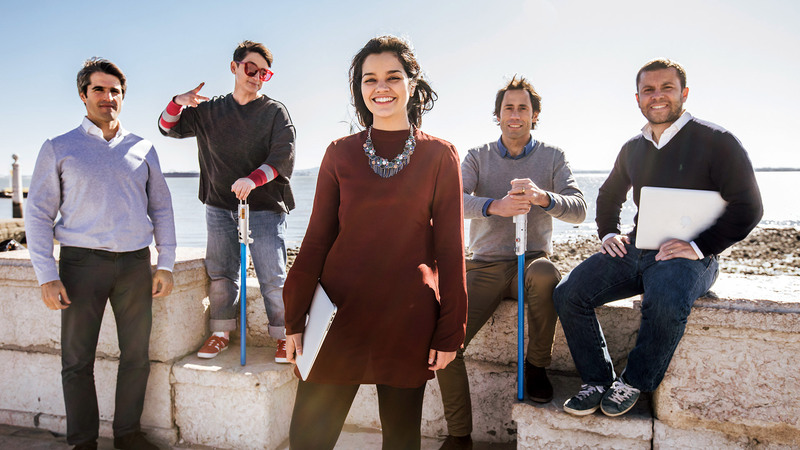 To make life easier for everyone, LiMiX developed a wearable device called Talking Hands. This device detects hand movements during sign language. It then uses a voice synthesiser on the smartphone to convert it into spoken word. 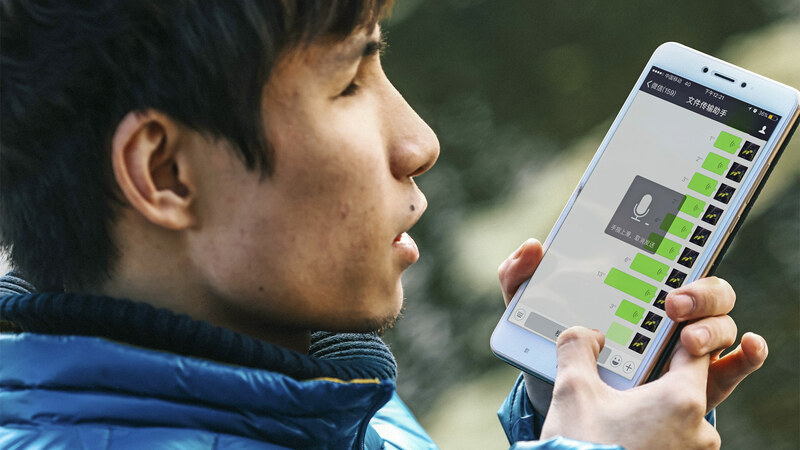 They’re launching a pre-release of the device with 500 deaf users, and they’ll continue to perfect it during the process. There are almost 1.8 million diary cows in Netherlands alone. They produce so much poop that farmers are running out of space to safely and legally dispose it all. Manure contains gases that could end up being harmful to soil, water and air when produced in excess. 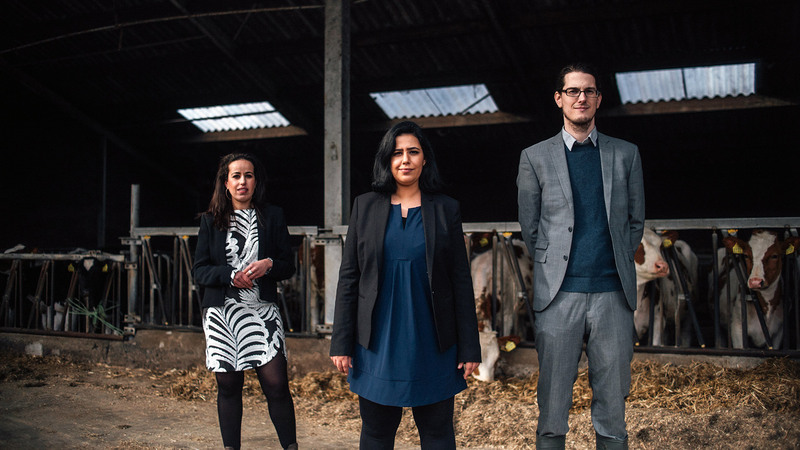 Mestic converts cow manure waste into bio-textiles, plastic and paper. Their patented technology aims to solve the excessive manure problem around the world. It also unlocks new possibilities for making sustainable products especially for the fashion industry. They’re currently working on a small scale with a select group of farmers, and looking to expand their operations. 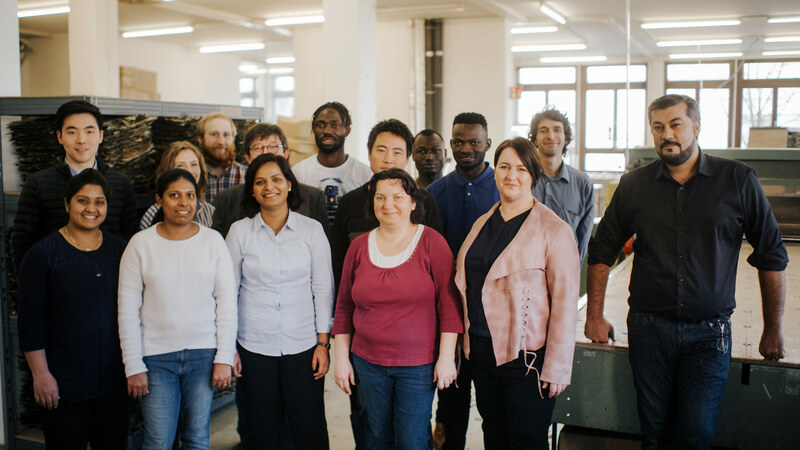 Nasekomo is also tackling the issue of food waste by harnessing the power of insects. 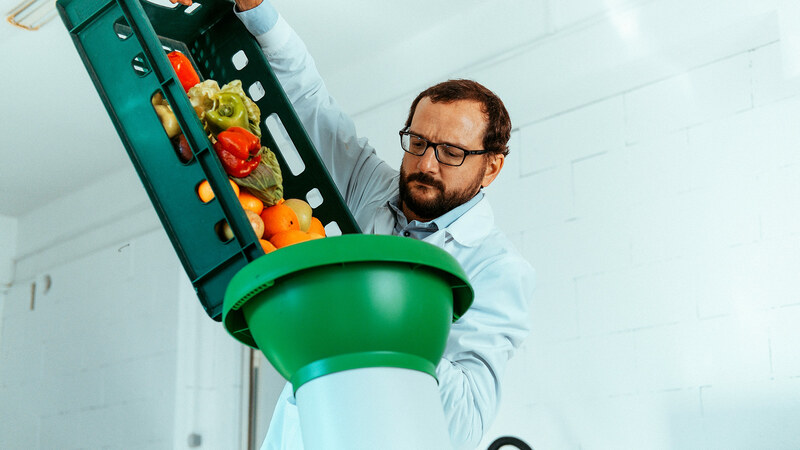 They designed a system where they can convert food waste back into protein, which is then used to feed fish and livestock. For example, they feed organic waste to the black soldier fly larvae. They end up growing up to 7,000 times their actual size within a matter of weeks. This becomes a sustainable source of protein for feed. Aphasia is a condition that affects approximately 5 million people worldwide. A quarter of them tend to be under 40 years old. This condition affects the brain and it inhibits your ability to communicate. Therapy for this condition is usually long, expensive and often ineffective. Neuro Device is developing a rehabilitation technology for people with speech disorders like aphasia. The device is a headset that uses electric stimulation to help regenerate sick areas of the brain faster, so that patients can recover more quickly. The device is meant to be affordable and accessible. It can be used both professionally and for home therapy. It’s supposed to restore a patient’s ability to resume their normal life. Over 1.5% of the world’s population lives with speech disabilities, and medical conditions like Cerebral Palsy, Downs Syndrome, Aphasia, and others. Their inability to communicate affects not only the sufferer but also family and friends that are unable to understand their requests. OTTAA Project allows such people to effectively put sentences together with pictograms. They gather data as it’s being used to learn, and they suggest the most suitable and contextual images for the user. 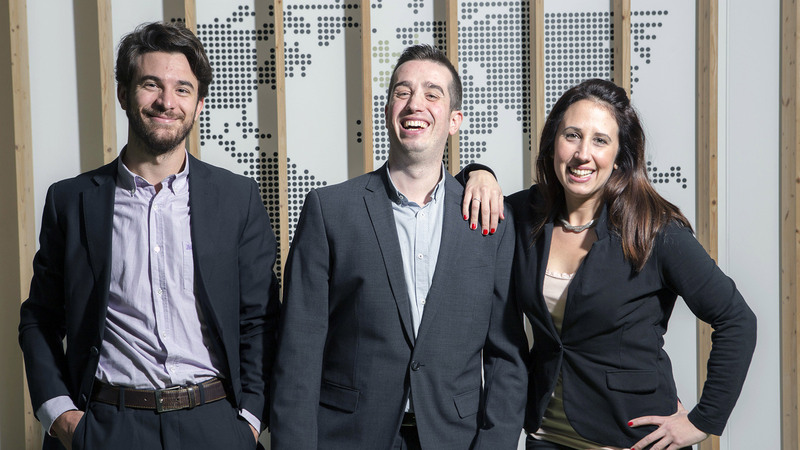 Their solution is currently being used to improve the lives of over 2,500 people in South America. 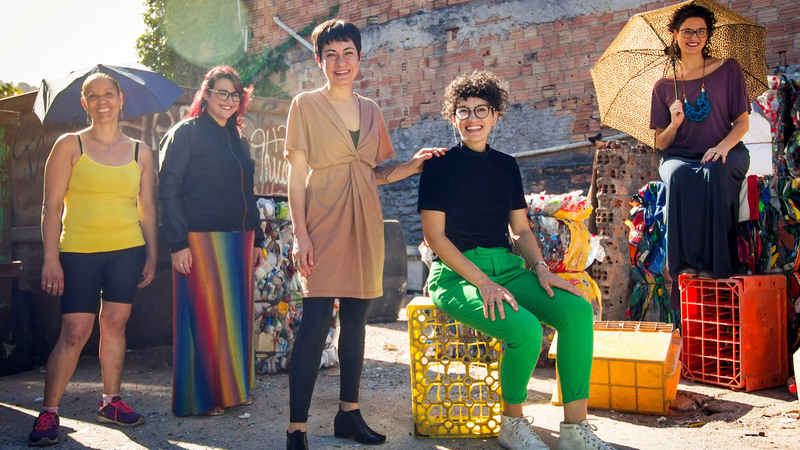 Revoada’s team creates fashionable products such as purses, backpacks and wallets from waste products like tire and broken umbrella chambers. 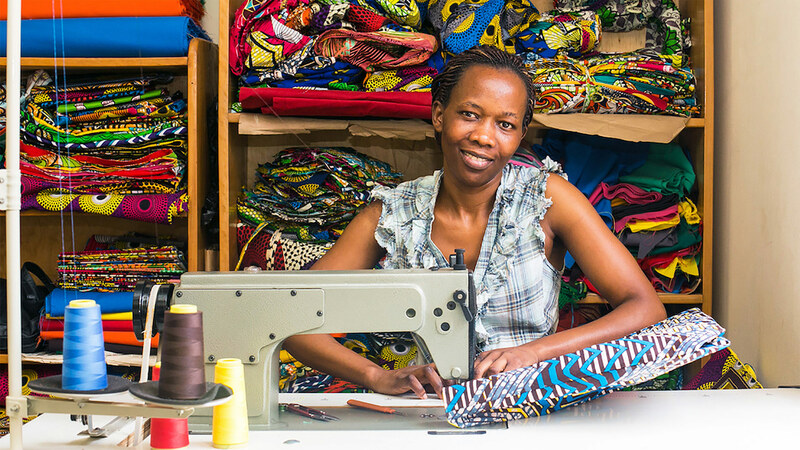 They also provide an additional source of income for repair shop workers, recyclers and sewing cooperatives as they either buy from them or hire them. Between 2013 - 2016, they’ve rejuvenated 8 tonnes of tire chambers and 10,000 units of umbrella nylon. They’re currently working to expand and they’re looking to broaden their research into newer materials. There aren’t a lot of opportunities for women in Uganda, especially for the ones that’ve missed out on an education. As such Ricci Everyday is a fashion brand that provides them with an employment avenue. The local ladies make colourful bags and travel accessories with locally sourced materials. A lot of farmers in developing countries lack access to key data, and often struggle to fund their work. As a result they fail to produce to their maximum capacity, and their returns tend to be much lower. 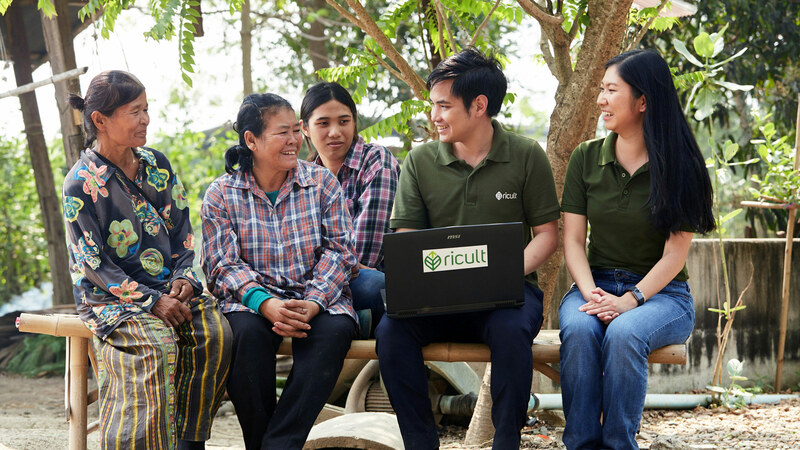 Ricult uses machine learning to improve a farmer’s productivity by mapping out weather forecasting, soil data and by assessing satellite images. They use data to provide farmers with key insights so that they’re able to make the best possible decision to increase their income. Furthermore, they even help farmers sell directly to the customers, and they also help them get affordable loans. Independent Romanian farmers often lack efficient management systems, time and the knowledge to build a strong online presence. At the same time, there’s a huge demand for organic and fresh foods. 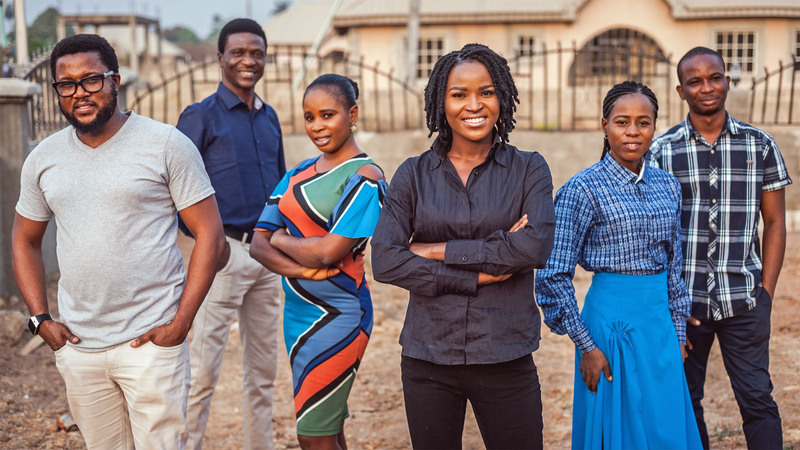 Taraba Virtuala bridges these two worlds through a mobile app. 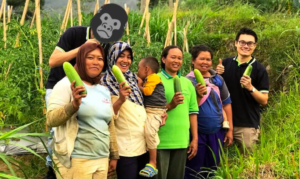 They connect small farmers with customers that are interested in buying locally. 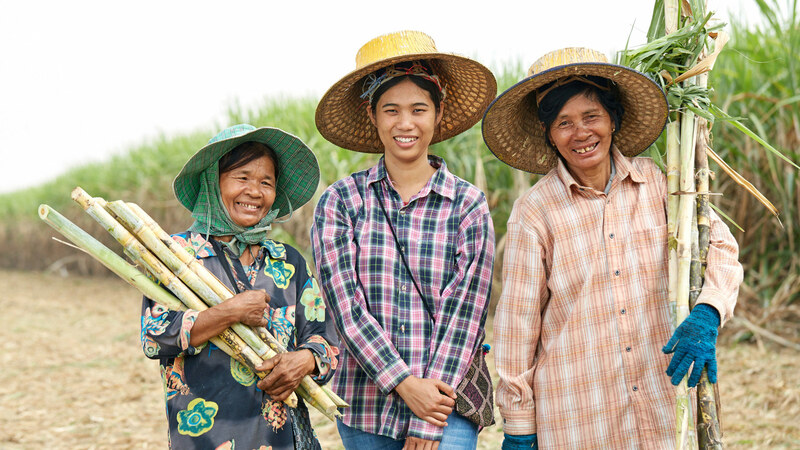 They eliminate the middle man by creating a cost-effective way for farmers to sell directly. Farmers can use the app to manage their orders, set their own prices, and save time routing their daily deliveries. There are over 154,000 refugees currently registered under UNHCR in Malaysia. Many of these refugees don’t have access to job opportunities, education or even healthcare. 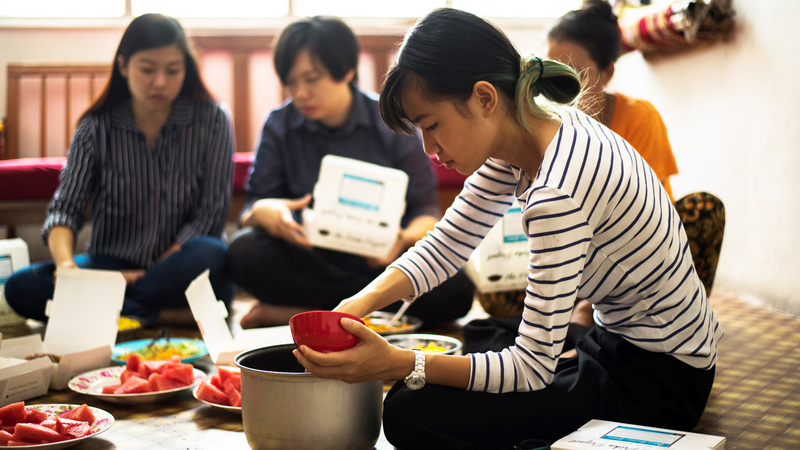 The Picha Project runs a sustainable food delivery business whereby the refugees cook delicious food at home, they buy it, package it, and then sell it. The Picha Project offers authentic traditional meals from different cultures in the form of meal boxes, mini-buffet deliveries, or full catering services. People with mobility issues often have a hard time moving around as most venues and locations don’t cater to their needs. Going for a swim or even the beach is quite a hassle. Tobea created Seatrac for people with mobility issues that’d like to go for a swim at the beach. Their solar-powered system makes it much easier for them to safely get in and out of the water. Last year alone, their system was used 13,000 times in 61 beaches in Greece, Italy and Cyprus.